A lot has happened in the world of international justice since my last post at JiC. So here are 7 stories and thoughts on the ICC and other justice-related stuff from recent weeks. 1. A Strong and Weak ICC? It has become rather popular in recent months to suggest that the ICC is in crisis. The Court has faced numerous problems which have consistently chipped away at its real and perceived legitimacy: its relationship with the African Union; its inability to intervene in ongoing and active conflicts where people think it should (which, it should be noted, is not always the ICC’s fault but still hurts the Court); and flaws in prosecutorial strategies that have resulted in a very mixed record in the ICC’s first verdicts. All of these issues weaken the Court and its standing in international relations. At the same time, however, it seems that the Court has never been stronger. Numerous scholars and observers have pointed out that the ICC has made international criminal justice the primary, and in some cases, the only approach to conflict and post-conflict accountability. As Sarah Nouwen argued in a talk at the International Studies Association Conference in Toronto, the Court has something of a totalizing effect, pushing consideration of other transitional justice mechanisms to the periphery. This, of course, has led to heightened expectations of the ICC’s role and potential. Wherever mass atrocities have occurred, we consistently hear calls for the ICC to intervene. As many have pointed out, debates over the Court’s role are not so much about whether it should intervene but how it should and can do so. Is the ‘strong Court’ – ‘weak Court’ tension paradoxical? It is hard to tell. In any case, it is fascinating that an institution like the ICC can be seen both as teetering on the verge of irrelevance and as being the only game in town at the same time. Disciplines like international criminal justice and transitional justice are defined as much by what counts as part of the field as what does not. Boundaries are constituted by the ongoing process of exclusion and inclusion, determining what fits and what doesn’t – and why. But it isn’t clear that either international criminal justice and transitional justice have done a particularly good job with delineating the relationship with what counts as a ‘case’ or unit of analysis and what doesn’t. There are loads of ‘nons’ in studies and assessments of the ICC, for example: Syria is the case of non-ICC intervention; many are concerned with ICC non-member states, including the role of major powers (Russia, China and the US); scholars like Sarah Nouwen and Sara Kendall are conducting provocative work on how the victim and non-victim is constituted by practices at the Court; as Kirsten Ainley maintains in forthcoming work, the ICC wants to tell a success story of non-prosecutions via its policy of complementarity wherein it induces states to prosecute perpetrators of atrocities themselves. ‘Nons’ are useful insofar as they help us to compare and contrast ‘in’ cases. A classic and popular example of this is assessments of the question: “why was there an ICC intervention in Syria but not Libya?” But I think there is a danger in over-differentiating nons from ins. Nons should be treated not as non-cases but as a different kind of case. For my analysis on how Syria is a case for the ICC and the peace-justice debate, see here. 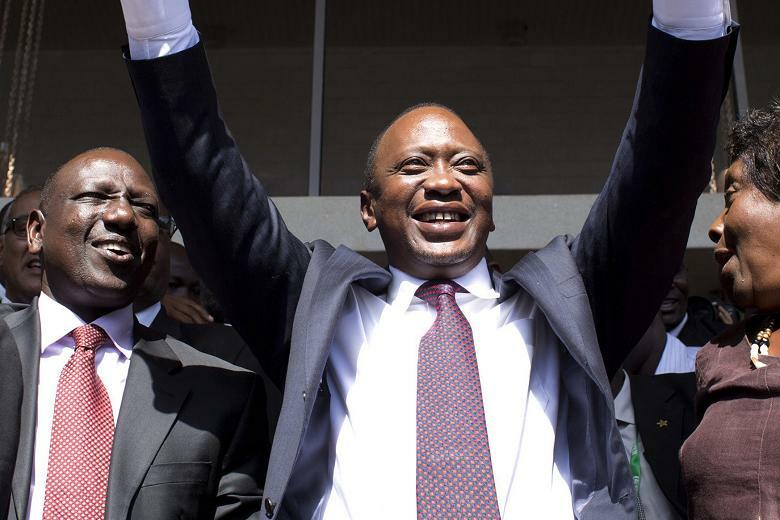 The trial of Kenyan President Uhuru Kenyatta was recently delayed once again, this time until October 2014. The prosecution had previously asked for a three-month adjournment. Kenyatta’s defence had wanted the entire trial quashed but judges ultimately rejected their request. It’s not clear that the ICC’s Office of the Prosecutor (OTP) really wants to continue pursuing the Kenyatta case. The cases are a mess. The trial has cost the Court dearly, both in reputational and financial terms. But the Court also can’t ‘leave’ Kenya empty handed. It has invested far too much and it would untenable for the Court to end up with zilch from the Prosecutor’s first-ever proprio motu investigation. The question on many people’s mind is: is there a way for the Court to save face? In talking with people familiar with the Kenya cases, there seems to be a potential political plea bargaining process that could take place between Kenya and the ICC. I have previously alluded to this possibility but the idea may be gaining steam. The deal would result in Kenyatta’s case collapsing in exchange for Kenya cooperating fully in the trial of Kenya’s Vice President William Ruto. Some fear this could lead to renewed violence in Kenya. But the idea of such a deal isn’t as crazy as it sounds. Remember, Kenyatta and Ruto were adversaries who came together under the Jubilee Alliance at least in part to present a stronger, united face to the ICC. I should stress, however, that there is zero tangible evidence of this plan coming to fruition. It is merely an increasingly ‘hot’ rumour. I have previously argued that the OTP is uninterested in actually pursuing the cases of Saif al-Islam Gaddafi or Abdullah al-Senussi, both of whom are wanted for their role in attacking demonstrators during the 2011 Libyan uprising. Instead, the OTP has sought to frame its role in Libya as inducing local prosecutions through the rhetoric of “positive complementarity“. This isn’t necessarily a bad thing. 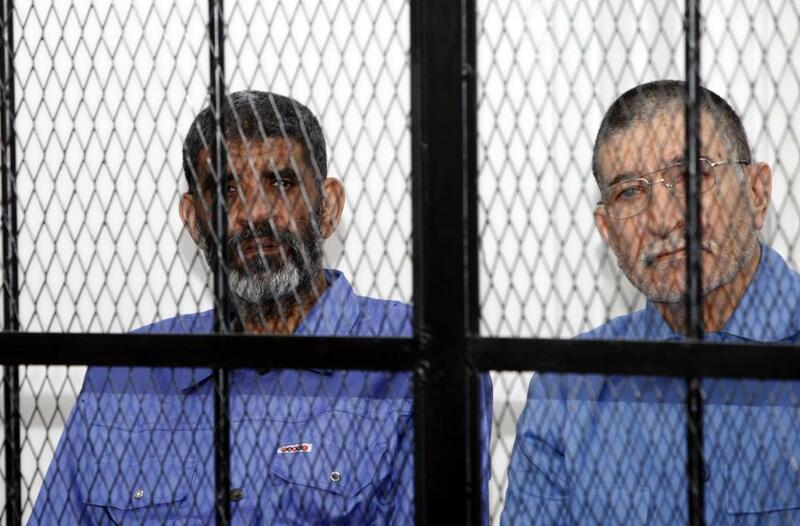 Few deny that Libya’s transitional authorities should get first crack at prosecuting Saif and Senussi – just not whilst violating international law and fair trial standards. Like the OTP, Judges at the ICC seem to prefer local prosecutions as well. As readers will recall, Judges found Senussi’s case inadmissible at the ICC (meaning Libya could try him themselves) while Saif’s was found admissible (meaning that Libya had an obligation to surrender him to The Hague). Unsurprisingly, both rulings were appealed. But that was a long time ago. Like a really, really long time ago. Kevin Jon Heller has also brought this issue to light, arguing that Judges at the ICC have been unjustified in taking so long to rule, especially in the case of Saif. The most plausible reason for the delays is that the Judges want to see Libya ultimately win both admissibility challenges and view this as being in the institutional self-interests of the Court. As a result, they are willing to be very patient and give the Libyan government a long leash to figure out how it can prosecute Saif. Power’s statements fit well with previous posts on the selective reach of international criminal justice in Palestine and the problems with US’s ‘one-foot-in, one-foot-out‘ position towards the Court. But irrespective of whether you think it is a good idea or not or whether you believe that pursuing international criminal justice in Palestine would be beneficial or detrimental to the peace process (and let’s face it, nobody knows which it would be), Power’s statements and the Obama administration’s position should be seen for what it unequivocally is: a position which undermines the goal of universal jurisdiction for the ICC. Only some states are allowed into the international justice game and, if the US has anything to do with it, Palestine won’t be one of them. I have attended a number of recent talks on the ICC’s Crime of Aggression, including by Claus Kress and Marieke de Hoon. It is an interesting subject but one which I still find to be more of an academic exercise than one which will have real implications in the realm of international relations. Still, three brief points on the crime of aggression. First, I honestly am not sure if the ICC should be expanding its workload. 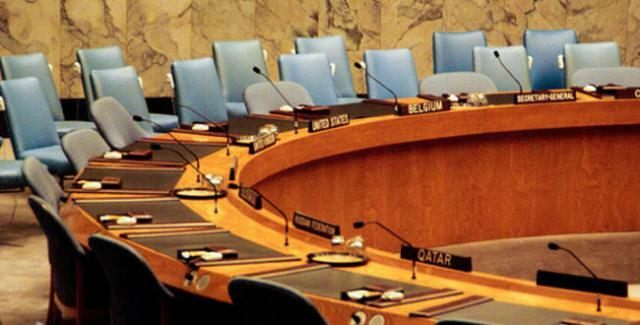 The ICC has nothing if not a very full plate and, in some cases, it likely bit off more than it could chew – or was duped into thinking it could eat as much as it wanted by the Security Council. So while coming to an agreement on the crime of aggression may constitute the fulfillment of the Nuremberg Legacy, it should come as somewhat of a relief that the crime will only come under the Court’s mandate in 2017 at the earliest. Second, a nagging issue for those interested in the crime of aggression is whether and how the ICC would prosecute acts of aggression in cases of unilateral but humanitarian intervention. This conundrum should cause anyone interested in the subject to think long and hard. It poses a striking dilemma that isn’t easily resolved and could bring into tension the liberal humanitarian prerogatives of R2P-type interventions and the liberal humanitarian prerogatives of prosecuting international crimes. My gut feeling is that in such cases, the ICC Prosecutor would flex his/her “prosecutorial discretion” and maintain that prosecuting unilateral humanitarian intervention was not in the “interests of justice”. Third, and relatedly, the definition of aggression that states agreed to at the Kampala Conference insists that an act of aggression “must, by its character, gravity and scale, constitute a manifest violation of the UN Charter.” Most scholars seem to agree that the potential prosecution of aggression depends on what constitutes a manifest violation of the Charter. But scholars can’t seem to agree on what that would be. In other words, the future of the crime of aggression may depend, more than anything, on the interpretation of a single word. Legalese will flourish and the crime of aggression will meet its manifest destiny. 7. Ocampo Teaching Global Affairs – with a Focus on Libya! Ending on a lighter note, former ICC Chief Prosecutor Luis Moreno-Ocampo has taken up a position at Yale. He will be teaching Global Affairs. According to the university’s website, “Moreno-Ocampo will teach a Global Affairs graduate seminar on the interaction between the UN Security Council and the ICC with a special focus on the case of Libya.” Despite many observers’ deep-seated concerns about the relationship between the Security Council and the ICC, not long ago, Moreno-Ocampo stated that the ICC was a “new power” for the Council. As a student of the Court and Libya, I desperately wish I could be in this class. If you’re reading this and you’re taking Moreno-Ocampo’s course, please get in touch! This entry was posted in Admissibility, Complementarity, Crime of Aggression, Humanitarian Intervention, ICC Prosecutor, International Criminal Court (ICC), International Law, Justice, Kenya, Kenya and the ICC, Libya, Libya and the ICC, Palestine, Palestine and the ICC, Peace Negotiations, Responsibiltiy to Protect (R2P), Transitional Justice, UN Security Council. Bookmark the permalink.